Now that school is about to begin, it’s time to start thinking about all of those handmade gifts that you’ll soon be giving to your friends and family this holiday season. I’ve accumulated a rather large stash of Lion Brand® Amazing® Yarn in many colors. I thought I would make scarves, cowls, beanies, and gloves as gifts this year. This Quick Crochet Cowl is worked in a short row Tunisian Simple Stitch. It goes rather quickly and can be finished in a weekend. The twisted cowl exposes both the front and rear of the beautiful Tunisian Simple Stitch. Tunisian Simple Stitch: Skip first vertical bar, insert hook under next vertical bar, yo, pull up a loop, insert in next vertical bar, yo, pull up a loop. Repeat across. Do not turn. To return, insert hook in last vertical bar of row and horizontal bar behind it, yo, pull up a loop, *yo, pull through 2 loops. Repeat * to end of row. Learn more about the Tunisian Simple Stitch and other Tunisian crochet stitches in the Tunisian Crochet Stitch Guide. This pattern is worked without turning. For the last stitch on the forward pass, insert hook in the vertical bar and horizontal bar behind it. Add yarn by laying new yarn over hook and pulling through the loop. With Tunisian crochet hook, ch 22. Foundation row forward: Beg in the second ch from hook and using Tunisian crochet hook, pull up a loop in each st across (22). Return row: Yo, pull through 1 loop. *Yo, pull through 2 loops. * Repeat from * until 2 loops remain on the hook. Pull through both loops. Repeat pattern until the fabric measures about 58″ long from beginning ch. Do not fasten off. Leave a long tail for the bind off row and to whip stitch together the short ends of the cowl. Bind off row: Skip first vertical bar, insert hook as for tss and sl st across. Do not bind off. Block cowl before sewing ends together (see below). 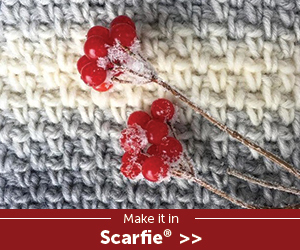 If needed, use a stitch marker at the end of the row to hold stitch in place. Once cowl is blocked, fold body in half, twist one end, and match up short ends. Whip st together short ends. Fasten off. Weave in loose ends. Wet cowl in cold water. Fold cowl in half or layout long cowl on blocking mats, smooth evenly, and pin in place until dry. Machine wash. Initial water temperature should not exceed 30°C or 65 to 85°F. Any dry cleaning solvent other than trichloroethylene may be safely used. No bleach product may be used. Lay out horizontally for drying. Do not iron. Thank you. I love the colors, too! This is so beautiful. I love the colors. I wish I could figure out this whole crochet thing 🙁 I am no good at it! I wouldn’t consider myself an expert crocheter. I like to do simple and quick fabrics. Thanks for stopping by. This is beautiful 🙂 And I like the colors. This is beautiful! How did you learn to crochet? I only know how to do a basic stitch (not even sure what it’s called) but would love to learn more in the future when I have more time to dedicate to it. This is lovely Sherry. I REALLY want to learn to crochet! It’s on my To do list! Hopefully I’ll get the opportunity to soon. This looks really pretty! Nice job! I absolutely love this. The colors are fantastic! The colors in this are just gorgeous! What a great fashion statement piece for the fall. 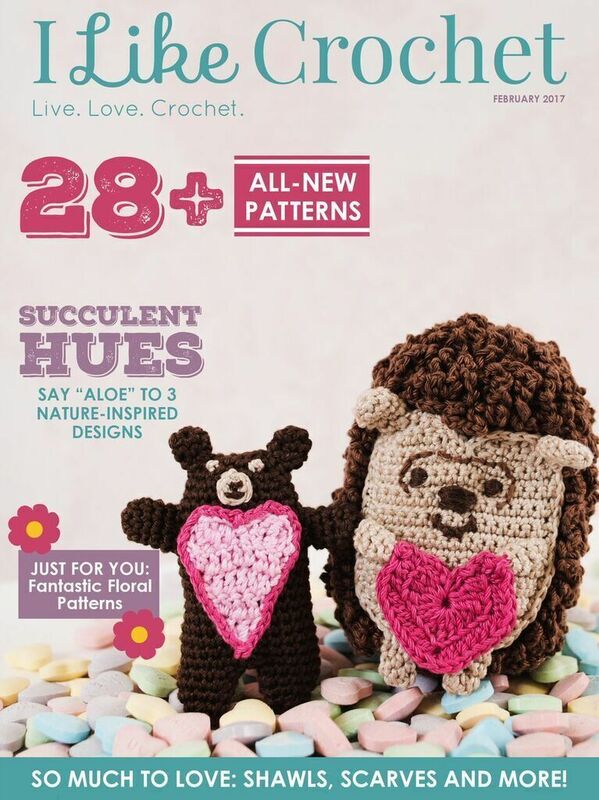 I have not picked up a crochet hook since I was a kid, but this kinda makes me want to! Beautiful cowl – very pretty in that yarn. Stopping by from Down Under link party. a nice project for that lovely yarn! hard to thing about getting cozy in that right about now, but great to plan for it now! thanks for sharing on craft schooling Sunday! This is so pretty! I desperately need to learn how to crochet (and knit), so I can make this and a few other things I’ve been eyeing for quite some time. Maybe this winter will be the time to learn. Thank you for sharing at Inspire Me Wednesday. Featuring you in this week’s issue. Won’t be long now and we will be needing a warm scarf!! Very Cute!! Thanks for sharing on My 2 Favorite Things on Thursday! Hope to see you again this week! Pinned! This is a gorgeous scarf!! You instructions are perfect! Thanks for sharing on our Bowdabra Saturday Crafty Showcase!! Such a pretty cowl! I love those gorgeous fall colors! Thanks for sharing at the Submarine Sunday Link Party!! I made this cowl and completed all the steps in order. One comment I have is that the instructions do not specify whether you match up right sides (which would be 2 twists, not one) when you sew the short ends together. And I am going to have to unpick the seam now so that I can block the cowl as when it’s twisted, I’d have to have creases in order to dry it flat. I revisited the pattern, and I get what you’re saying. In this particular case, I sewed the two ends together and then blocked the scarf. I did not twist this scarf. I MOSTLY twist them, but I didn’t do it this time (don’t know why). When I do twist the scarf, I block the long scarf either flat or folded in half before I twist one end and sew together the two ends. I’ll make a change to the pattern to add this. I am making this scarf now and I can tell you that the yarn is not at all bright and brilliant as shown in this photo. Yes, I am using the yarn called for in this pattern. Very disappointing! I have several different colors in this line of yarn, and they are all vibrant. I will say that there are light areas in each yarn, but overall, the yarn produces a bright colored scarf. It could be that you happened to get a skein from a lot that’s not as colorful. I’ve seen skeins of the same color lay next to each other in a store and one is lighter or “off”. This pattern also looks great in the Red Heart Boutique yarns, too. I’ve made one so far and am giving it to my Mother-in-Law for Christmas. I’ve got a second one in the works for another Christmas present. At some point I want to make one for myself too. As you should! These are so quick and easy. The scarves can be so colorful, too! I think that’s the best part. I just started this cowl tonight and am using red heart unforgettable. I can’t wait to see how it turns out! 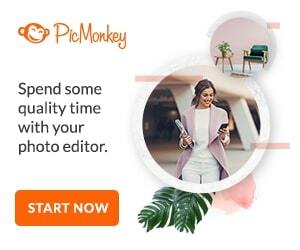 Can you share a photo? Love to see it. Hi Love your cowl. May I share one image with a link to your post in a roundup post on my blog mypoppet.com.au/makes ?